Just west of Portland, Hillsboro gets plenty of visitors, drawn by the many things that make it a great (and booming) place to live. People move here from all over the world to work for large employers like Intel and Nike. Still charming, Hillsboro smacks the casual visitor with surprises — and not just during the Oregon International Air Show. 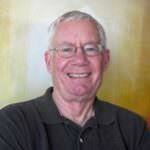 Here are a few reasons to go, play and stay in Hillsboro. 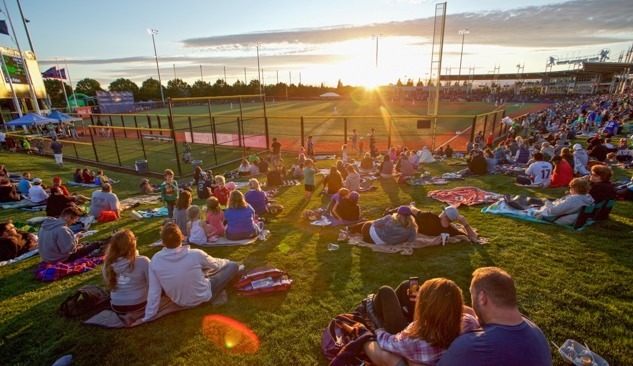 Go Play: Residents of nearby Portland take the MAX light rail line to Hillsboro then a free shuttle to Ron Tonkin Field for minor league baseball with the Hillsboro Hops, one of Oregon’s three pro teams. There’s not a bad seat in the house. Residents and visitors are all abuzz about the latest local attraction, Topgolf. The facility is a happy mashup of bowling, video games and golf. From more than 100 bays on three floors, players whack microchipped balls toward wired landing zones that kick back scoring data — with cocktails and fries. For a more deconstructed break, take a hike and enjoy wildlife in the 635-acre Jackson Bottom Wetlands Preserve. 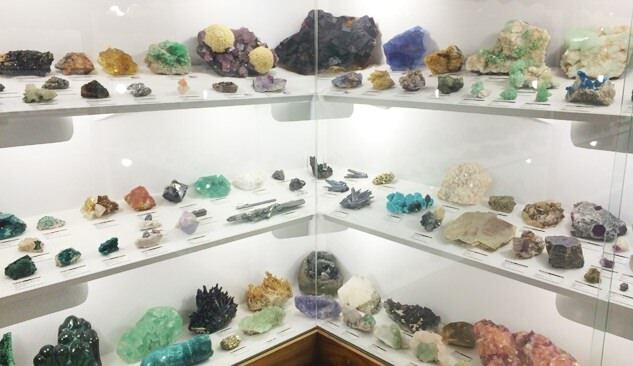 Go See: The Rice Northwest Rock and Mineral Museum is a massive and lovingly collected assortment of geological magic. Look for the “Alma Rose” rhodochrosite, meteorites, petrified wood and more. To peel back the veil on the local art scene, explore work by 33 juried artists at the Sequoia Gallery + Studios, or tune in to the eclectic performance mix served up at the Glenn & Viola Walters Cultural Arts Center. For family fun, keep an eye out for the city’s latest public art gallery, held in unusual outdoor settings. Go Sip: Beer tourists are finding their way to the creative pours and light industrial chic of Vertigo Brewing. Two Intel engineers opened the taproom in 2012, tucked back from drive-by visibility. Today they bottle three beers and support taps at Thirsty Lion Gastropub & Grill and Copper River restaurants, among others. Regulars love to order a TrALE-Blazer — half Arctic Blast Vanilla Porter, half Razz (as in “razz-berry”) Wheat. Three Mugs Brewing adds its own beers to a huge tap line for TV tailgating, regularly showing Timbers and Thorns games. And fans of Belgian styles flock to Ambacht Ales; try the Golden Farmhouse Ale. On the stronger side, Big Bottom Distilling rents space in the same business park as Vertigo. It started out blending whiskeys, then began distilling from scratch. Its Oregon Gin wears several gold medals. Tasting is from noon to 4 p.m. Saturdays. Go Eat: Foodies head to Hillsboro for stellar Japanese food at Syun Izakaya. Consistently ranked among the region’s best, it puts a premium on organic produce and sustainably sourced seafood. Another destination dining spot, Chennai Masala, gets raves for its richly sauced Indian menu. Chicken vindaloo, anyone? 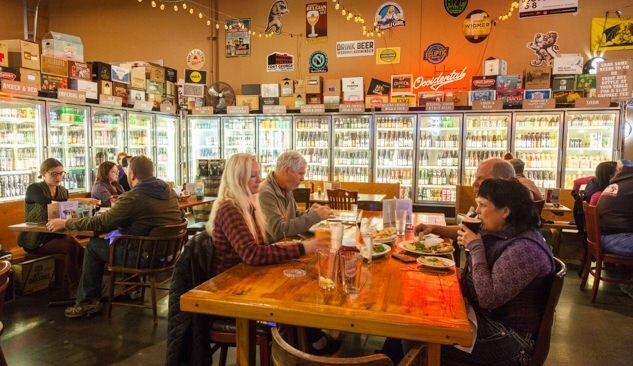 ABV Public House, northeast of Exit 61 on the Sunset Highway, has 34 taps linked to Oregon’s best brews, as well as burgers to drive for. Savor the pastrami burger with a half-pound patty, pastrami, fresh arugula, a dill pickle, provolone and a fried egg. Homebrewers take note: it’s linked to owner Kevin Stahr’s Mainbrew supply store. Extend Your Stay: Book a room at The Orenco boutique hotel, the luxury suites of Larkspur Landing or one of many other lodging options in the Hillsboro area.